122 min. United Artists Films. Directors: Guy Hamilton, John Harris (II). Cast: Roger Moore, Yaphet Kotto, Jane Seymour, Clifton James, Julius Harris. I know I probably shouldn't like Live and Let Die, but I do. This crackpot entry, the eighth, in the long-running James Bond series, is figuratively all over the map, though it literally spends most of its running time within U.S. borders (with a few episodes in England and Jamaica, which doubles for the fictional Caribbean island nation of San Monique). The bad guy is a heroin dealer protecting his dominance (and his chain of "Fillet of Soul" restaurants), the main Bond girl has supernatural powers, and the plot incorporates hijinks in Harlem and New Orleans with hepcats and rednecks. Did I mention the voodoo? Despite all of those elements, Live and Let Die is best known for the debut of 46-year-old Roger Moore as Bond. Though Moore's tenure would never hold a candle to that of Sean Connery, Moore acquits himself admirably in his first outing, easily one of his best. This time, Bond's rather straightforward mission involves finding and trumping Doctor Kananga (Yaphet Kotto), a sinister drug kingpin with memorable henchman: voodoo priest Baron Samedi (Geoffrey Holder, who also did the choreography) and hook-handed TeeHee (Julius W. Harris). Kananga relies heavily on the insight of a tarot-reading seer named Solitaire (Jane Seymour at her loveliest). Though her cards persist in telling her she must bed Bond, Solitaire resists, knowing her loss of virginity will mean the end of her second sight. Bond's shameless deal-closer ranks among the franchise's best-remembered examples of Bondian misogyny. 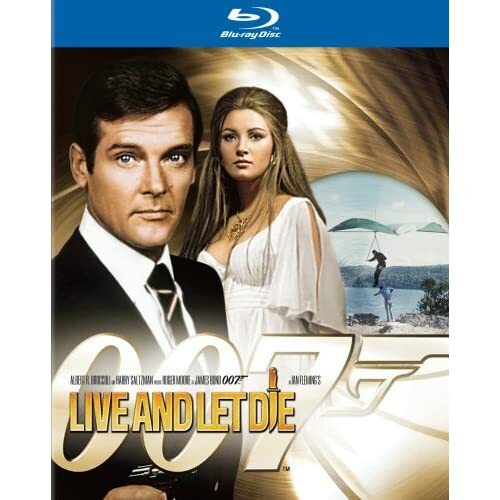 Live and Let Die is also notable for its appearance by David Hedison as CIA agent Felix Leiter (since Hedison, who also appeared in Licence to Kill, was the only actor to play the role twice) and its dynamic theme song by Paul and Linda McCartney, performed by Paul McCartney and Wings; fifth Beatle George Martin supplied the film's score. The ample action entails a speedboat chase, a car chase with Bond at the wheel of a double-decker bus, and a daring escape from ravenous crocodiles, not to mention a clever running gag involving a New Orleans funeral. Loosely adapted, from the Ian Fleming novel, by Tom Mankiewicz, Live and Let Die's controversial nature extends beyond the introduction of a new Bond and the off-model drifting from formula (it's the only Bond film without an appearance by "Q," for example). There's also the matter of the film's uncomfortably dated treatment of black characters as "the other," played up in the voodoo sequences and offset somewhat by the appearance of Quarrel Jr. (Roy Stewart), son of Bond's ally from Dr. No. Some critics position the film as blaxploitation perverted by a white hero, a valid position. On the other hand, it's hard to take too seriously the film that introduces the regrettable recurring character of Sheriff Pepper (Clifton James) and includes the immortal Bond line "You should never go in there without a mongoose." 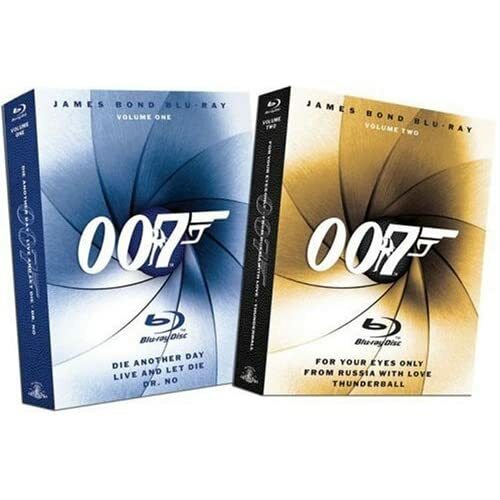 Part of the new Blu-ray wave of Bond releases, Live and Let Die comes with the full suite of extras from the recent DVD Ultimate Edition (with two key featurettes kicked up to full HD!). The image quality is superb, rendering this film with a clarity it hasn't seen since its original release. Shadows could be deeper, but given the film's age, detail is excellent for an all-around sharp impression. As remastered in DTS-HD 5.1 Master Lossless Audio, the film's soundtrack has never sounded so good on home video, but all the same Fox happily includes the original mono soundtrack for purists. As with all of the Bond titles, Live and Let Die comes with a staggering array of bonus features. 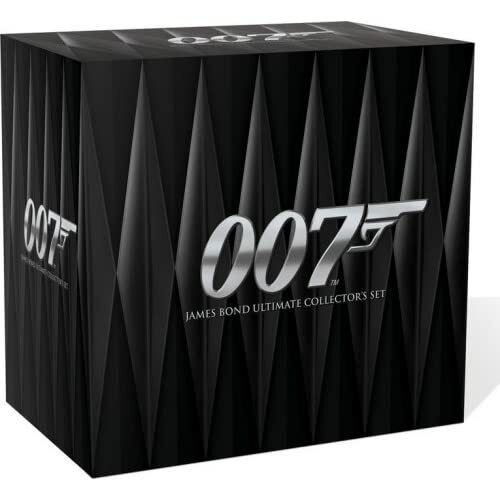 The audio commentary narrated by Bond historian John Cork gathers comments (recorded separately) by director Guy Hamilton, actors Yaphet Kotto, Jane Seymour, Julius Harris, Madeline Smith, Clifton James, David Hedison, Lois Maxwell, and Gloria Hendry, supervising art director Syd Cain, co-art director Peter Lamont, and special effects supervisor Derek Meddings. Topics include the film’s opening sequence, the titles and theme song, locations, stunts, effects, and the cast and crew. A second commentary with writer Tom Mankiewicz is screen-specific. Though he leaves too many dead spots, Mankiewicz has some interesting things to say about the difference between writing for Sean Connery and writing for Roger Moore, as well as racial issues in regard to the film's characters. Then there's a charming screen-specific commentary with actor Roger Moore. Moore offers some interesting anecdotes and reflections, on how he became Bond, his relationship with Paul McCartney in the '60s, his fellow cast and the crew, his work for UNICEF, working on location, and his career as a whole. There are some notable gaps in the track, but who's complaining: c'mon, it's Bond! Declassified: MI6 Vault begins with "Bond 1973: The Lost Documentary" (21:39), a making-of with Hamilton, Moore, Kotto, stuntman Eddie Smith, and producer Cubby Broccoli. "Roger Moore as James Bond, Circa 1964" (7:44), introduced by producer Michael Wilson, is a rare clip of Moore’s playing Bond on the TV show Mainly Millicent. "Live and Let Die Conceptual Art" (1:39), narrated by Michael Wilson, presents rejected concepts for the film’s poster art. 007 Mission Control Interactive Guide comprises "007," "Women," "Allies," "Villains," "Mission Combat Manual," "Q Branch," and "Exotic Locations." It's mostly just access to selected scenes, but "Locations" (4:29) has Maud Adams narrate the set of clips. The centerpiece of Mission Dossier is "Inside Live and Let Die" (29:45 in HD), with participants Hamilton, Mankiewicz, Moore, Kotto, Seymour, Lamont, Hendry, Harris, James, former UA executive David Picker, and bus stunt driver Maurice Patchett discussing the casting of a new Bond, story issues, stunts, locations, casting, and more. On the Set With Roger Moore includes the vintage segments "Funeral Parade" (1:42) and "Hang Gliding" (3:58). Ministry of Propaganda offers two Trailers (theatrical and teaser), two TV Spots, and two Radio Spots. Image Database serves up 170 shots in 9 categories. All site content © 2000-2019 Peter Canavese. Page generated at 04/24/2019 07:21:00AM.